George Brackner was born on 30th October 1894. His father, George, was born in Blidworth in about 1857 and his mother was born Sarah Ann Burdett, the daughter of a well known local bricklayer. They married in Nottingham in August 18871. Sarah had been previously married (to Thomas Thorpe) and widowed and brought two children to her new marriage. By the time of the 1901 census the family were living at 8 Broughton Street, Beeston with George senior working as a bricklayer for the Midland Railway. The couple had by then, had seven children of their own - six of them boys - all of them of school age except the oldest, their only daughter Alice Lavinia who was working as a lace mender. Also present was the children's half sister, Mary Thorpe and her baby daughter2. The boys of the Brackner family all attended the Church Street Schools. George was registered in the Boys Brigade on 18th September 1909 at the age of 14; at this time he worked as a lace factory hand with the firm of Mr. H.L.Birkin. While in the Boys Brigade his favourite class was always in the Gymnastics, he also attended the yearly camps. He was one of the party of ex Beeston Boys Brigade Lads who marched together to enlist at the Derby Road, Nottingham Recruitment Centre in late August 1914 where, along with Jim Martin, Dann Humphreys and over 20 others, he joined the 9th Service Battalion Sherwood Foresters. Also in this group was his brother William who was one place in front of George at the Recruitment Centre3. Only about 40% of the Service Records for those who served during World War 1 survive, as many were destroyed during a German bombing raid on the War Office in London in September 1940. But those that do - and George Brackner's is amongst them - make interesting reading. His record, now held at the Public Record Office at Kew (and now available on-line) reveals much detail - from his record we learn that he weighed 130lbs, was 5’6" in height, had a fresh complexion, grey eyes, light brown hair, a scar on his left forehead and his religion was recorded as Church of England. Lads' Club Memorial Service - Another of our brave lads has laid down is life at the call of duty, and a memorial service was held in the Lads Club Classroom on Sunday 5th December. The young hero was George Brackner whose parents live at Clinton Street. He died in hospital in the Dardanelle’s from a fever. He was 20 years of age and he was one of the first members of the club. He was a winner of the New Zealand Medal for the best Gymnast in the club also the Searle Medal for muscular development and was the leader of the winning Challenge Clasp.Speaking at the service Rev Mr Gooch said that George died for his country just as much as if he had fallen in battle. 1They married on 7 August 1887 at Nottingham St Anns. 2The family can be found on the 1901 census in Piece 3153, Folio 38. The children are listed as James (12), Harry (10), John W (8), William (7), George (6), Arthur (3) and Alice (14). 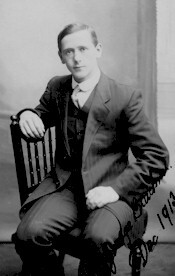 Arthur died in 1905. Harry and Alice Lavinia (then Mrs Poyser) settled in the United States, probably before the war. 3William and George's Service Numbers were 13907 and 13908 respectively. 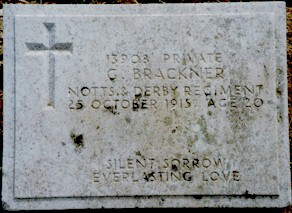 Their older brother John W Brackner enlisted on another occasion. 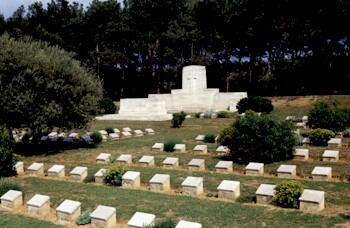 Both William and John W were killed, within four days of each other, in May 1918. 4The family may have moved briefly to Clinton Street following her death. However, George senior consistently gave his address as 9, Broughton St., Beeston, Nottingham after the War in documents in George'e Service Record and in the Commonwealth War Graves Commission records. 5Army Serice Record Casualty Form. Pyrexia describes an abnormally high body temperature, a fever, typically caused by bacterial or virus infection.